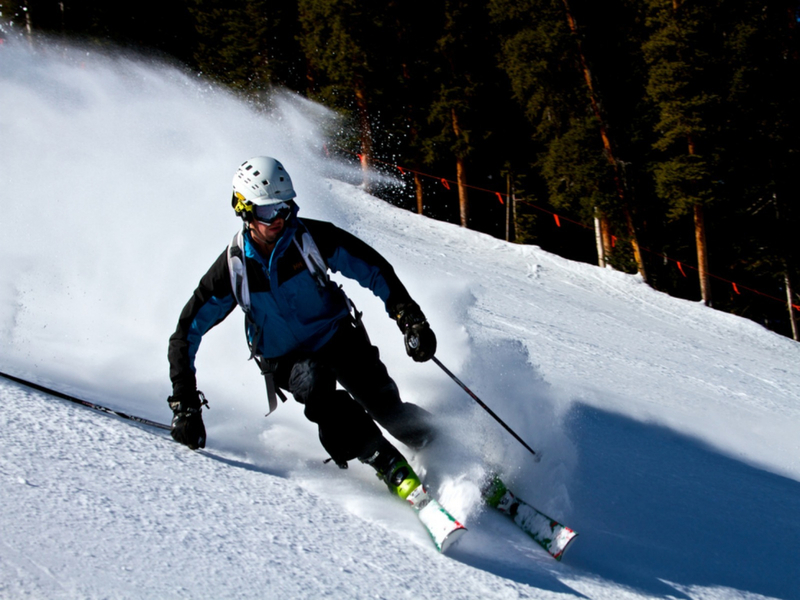 With essentially three resorts in one, Mountain High is a great destination for skiers and boarders of all levels. Lift tickets are $64 for an 8-hour day pass. More ticket options are provided below under "Directions, Parking, & Regulations"
As three resorts in one, Mountain High offers terrain for all levels of skiers and boarders. The North Resort is kid and beginner heaven with 70 acres of green and bunny hill type runs. There is a tubing park at North Resort as well. The longest ski trails in Southern California can be found at the East Resort at Mountain High. Tree skiing along with moguls await you here. The West Resort is open five nights a week for night skiing. Boarders and skiers of all levels can find runs to cruise on or to test their ability levels here. This is where you can find terrain features as well. Lessons and rentals are available. Hotels, motels and cabins are the lodging options in the area. Restaurants and retail can also be found at Mountain High. There's a mountain for all levels, so pick the one that most suits your skiing and snowboarding goals! East Resort has the best all-around terrain and longest runs, so it's understandably a popular place.